Yoni was four years old when he drowned in the pool at Cathedral Oaks Athletic Club during a summer day camp in August 2005. 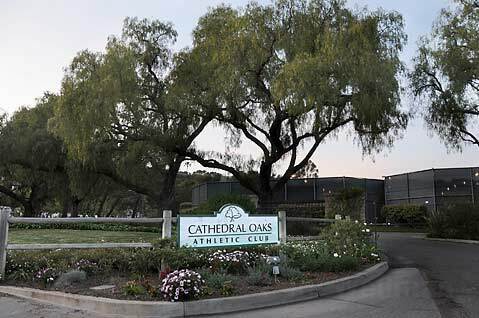 After an offer to compromise from Oded and Anat Gottesman, Richard Berti-owner of Cal-West, which operated Cathedral Oaks Athletic Club-agreed to pay $1.5 million in compensatory damages for the wrongful death of the Gottesmans’ son, Yoni. Yoni was four years old when he drowned in the pool at Cathedral Oaks Athletic Club during a summer day camp in August 2005. A security camera captured the boy fltoating in the pool for eight minutes while kids played around him and lifeguards failed to notice. After he was pulled from the pool, it was alleged that improper CPR was given. In early May, a Santa Barbara jury awarded the Gottesmans $13.8 million in compensatory damages, along with another $2.3 million in punitive damages, for the wrongful death of their son. Included in the Gottesmans’ original lawsuit was an allegation of the fraudulent conveyance of assets-that is, that Berti transferred assets out of his name to someone else-when Berti and his business partner sold Cathedral Oaks Inc. to club manager Julie Main and her business partner for cheap not long after Yoni’s death. Prior to the start of the wrongful death trial, Judge Thomas Anderle chose to split the fraudulent conveyance issue into a separate trial. The matter was set for trial earlier this month, but Berti agreed to the Gottesmans’ offer for a compromise. As part of the agreement in which he-not his companies or other defendants-paid the $1.5 million, he will not face a trial in which it is alleged that he fraudulently conveyed assets out of his name and to someone else. It was never about the money, Gottesman lawyer Barry Cappello said, which is why they offered to compromise. “The next son will be saved by what we’re doing,” said Oded Gottesman, who intends to use the money to increase pool safety awareness through a foundation named after Yoni. But what the family did want in their offer to compromise was for Berti to admit he was a responsible party. That’s why Tuesday, in Anderle’s court, there was a strong disagreement about the wording of the compromise. John Levitt, attorney for Berti, offered a document worded so that it dismissed all claims against Berti. Cappello strenuously objected to the wording of that final version, which he said didn’t have a strong enough declaration of judgment. He also was disturbed by a flurry of emails Tuesday morning from Levitt in which the wording of the compromise was changed from its original draft. Anderle eventually ruled that judgment, however, was not warranted, and that dismissal with prejudice was a fair equivalent. “We are happy with the judge’s ruling today,” Levitt said, adding that it was Berti’s hope the money would be used to advocate for pool safety. Despite issuing a press release later in the day expressing acknowledgement that Berti was forced to take responsibility for their son’s death, the Gottesmans, standing outside the court Tuesday, expressed frustration with the move. “Richard Berti doesn’t get it yet,” Oded Gottesman said. “He doesn’t understand what he did.” The Gottesmans are thinking about filling a motion to set aside the offer to compromise since the final wording was not part of the original agreement. But for now, the question of punitive damages have been resolved. This closes a “sordid chapter surrounding the willful misconduct in the death of Yoni Gottesman,” Cappello said, “and the attempt by Berti to hide his assets after Yoni’s death.” In the meantime, Berti is considering a motion for a new trial, in which Berti and other defendants could ask the judge to reduce the amount of compensatory damages down from the $13.8 million. The Gottesmans are still pursuing a lawsuit against Berti’s partner, Richard Ortale, for fraudulent conveyance. That matter probably won’t be resolved until late next year. The Gottesmans are also appealing Anderle’s decision prior to the April trial to dismiss Berti as a defendant in the wrongful death, negligence, and willful misconduct claims and-if the appeal is successful-would try these claims against Berti.